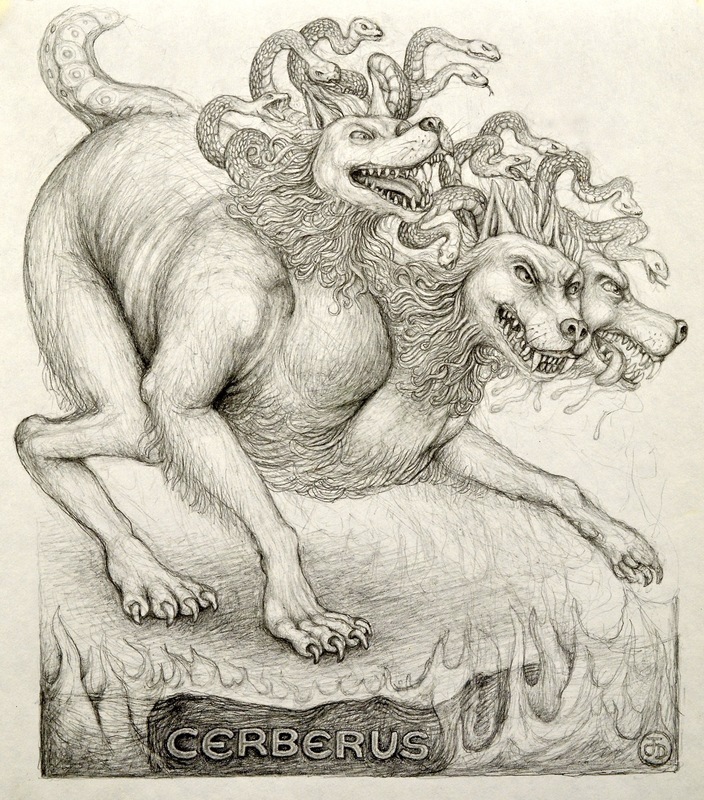 This entry was posted in art, Drawing, graphite, pencil and tagged cerberus, charon, Guardian, Hades, mythology, underworld. Bookmark the permalink. 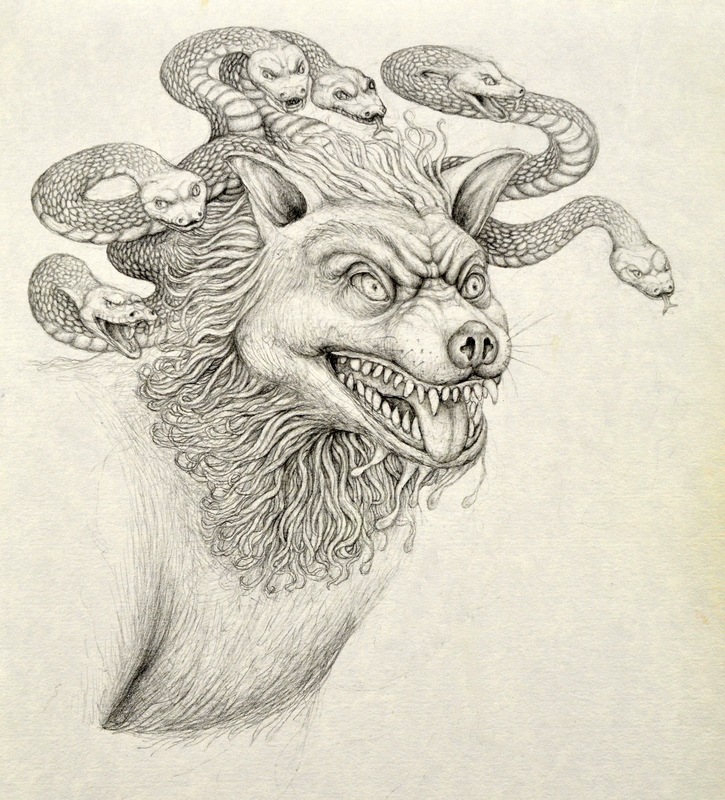 To blend the multiple heads of Cerberus with the snakes of Medusa is brilliant. There’s a *rightness* to your representation that gives me a chill of recognition. 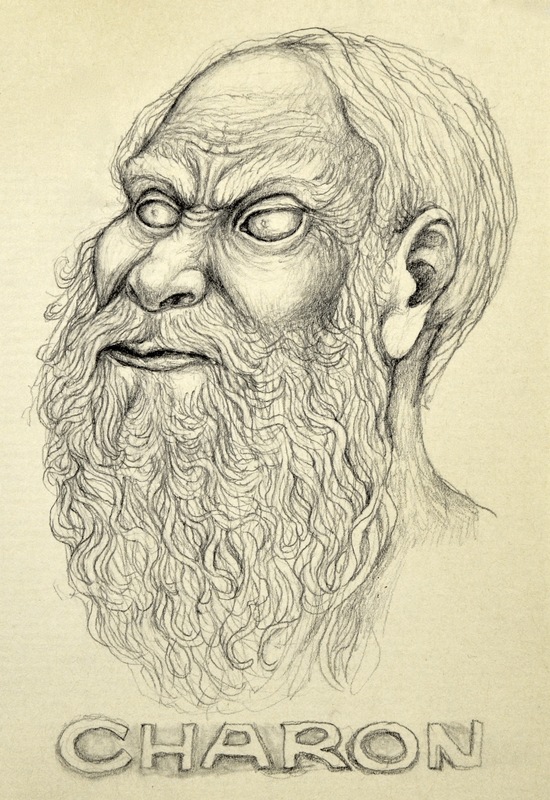 That the shapes in Charon’s beard writhe like the snakes in Cerberus’s hair emphasize, at least to my mind, the idea that no matter what twisting paths we may take in life, we all eventually meet the ferryman. Nicely, darkly done! Thank you for your comment, Josephine. I’m glad of this contact with you. You have an unusual and intriguing way of seeing which I highly appreciate. I notice it too in your choice of imagery in your poems. 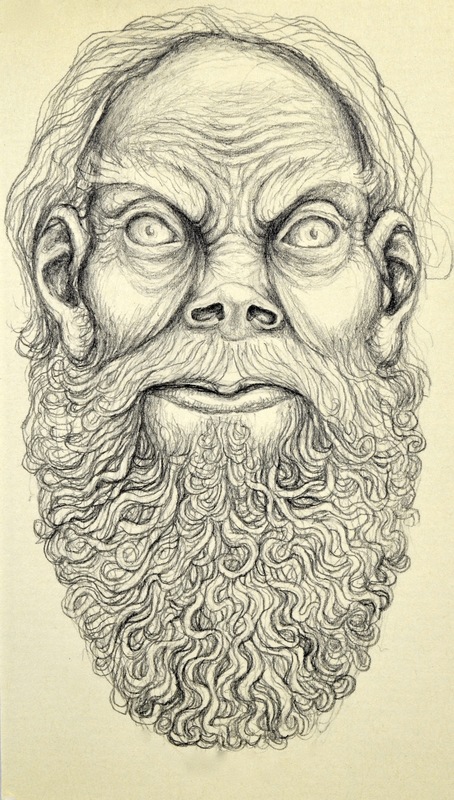 I hadn’t really thought of Charon’s beard as like a maze, twisting paths all ultimately leading back to him, but indeed it’s vaguely suggested there, along with maybe worms! I think that “chill” you mention we both quite understand, and actually seek out while most others turn away and flee from it. It’s one antidote to the boredom and weariness of everyday life. To be scared out of one’s wits gets the blood pumping, the adrenaline flowing, and puts us back down in touch with our primal selves.